T-Mobile Austria, a subsidiary of Deutsche Telekom puts pressure on the Austrian Competition Authority. The merger must include a number of requirements. 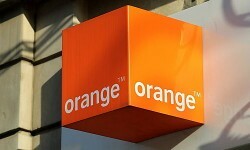 Robert Chvatal, CEO of the second largest telecommunication operator T-Mobile Austria, wants the Federal Competition Authority (BWB) to impose “fair requirements” on the merger between Orange and Hutchinson. This article includes a total of 400 words.